Of course, I can't be serious when I say this. My sense of humour just doesn't let me. 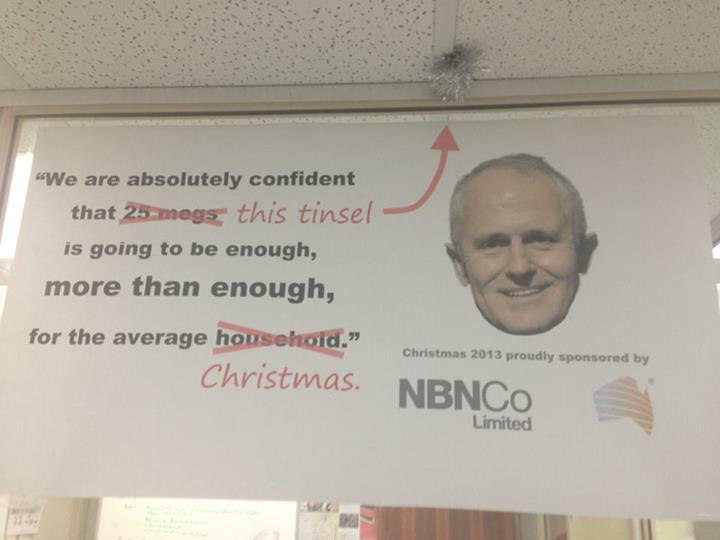 So let me send you this Christmas Greeting from NBNCo and Malcolm Turnbull. Lets see you all on the other side!